 Stephen Pollard, "A Fearsome WMD Arsenal," The Daily Telegraph, 16 April 2003; "Three Entities Targeted by Treasury for Supporting Syria's WMD Proliferation," U.S. Department of the Treasury, 4 January 2007, www.ustreas.gov. "German Daily Says Intelligence Shows U.S. 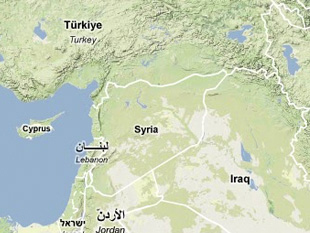 Criticism of Syria Justified," BBC Summary of World Broadcasts, 1 April 2003. "Test-Firing of New Scud Missiles by N. Korea, Syria, Iran Fails," Japan Economic Newswire, 14 August 2009; and "N. Korea to Mass-Produce Syria-Provided Missile," Japan Economic Newswire, 2 June 2009.